Digital X-ray is available here at Heritage Health! This gives us the advantage to immediately view the image together before treatment begins (and uses much less radiation compared to conventional radiography). 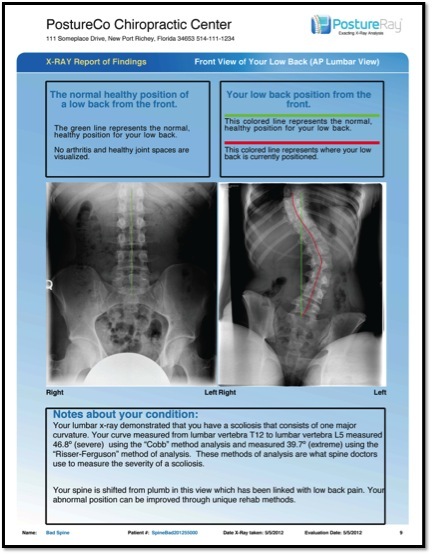 We also use a program called PostureRay to digitally analyze the curves in your spine to help you understand your spinal health and track your progress! In addition, X-ray images can be archived on a computer and easily retrieved. Images can also be burned onto CDs for patients, who can view them on their home computers. Patient education is greatly enhanced, especially with the addition of PostureRay.